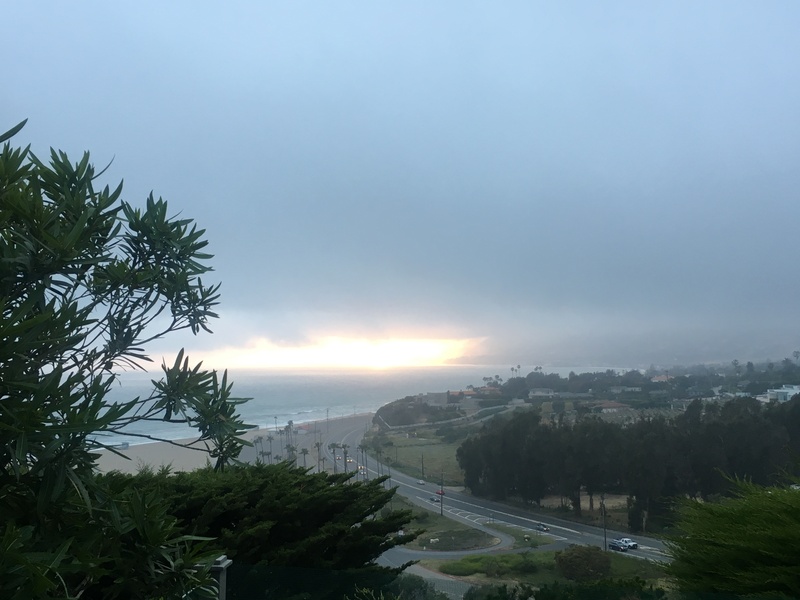 My most recent trip to the west coast didn’t go as planned but it did afford me the opportunity to connect with friends and former co-workers. My friends at Mazda graciously provided me a 2017 Mazada3 hatchback to use during my time in LA in exchange for a review on Carpe Diem with Jasmine. I must admit that I wasn’t familiar with the Mazda brand. I remember when I graduated from high school a few of my friends coveted the Mazda 626, but Mazda discontinued that car in 2002. 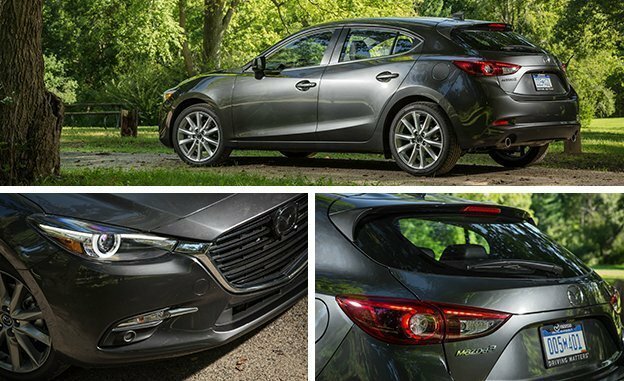 The Mazda3 hatchback is extremely versatile. It’s perfect for a person looking for a stylish and chic car that seeks extra room for carrying extra stuff like shopping bags, a kayak, luggage or golf clubs. It’s a sturdy car that did not move with the wind when going around the curves in the Southern California Valley. My top 3 favorite features of the Mazda 3 are the popup screen on the drier side, seat heater/coolers that will stay on and the extended sunroof. 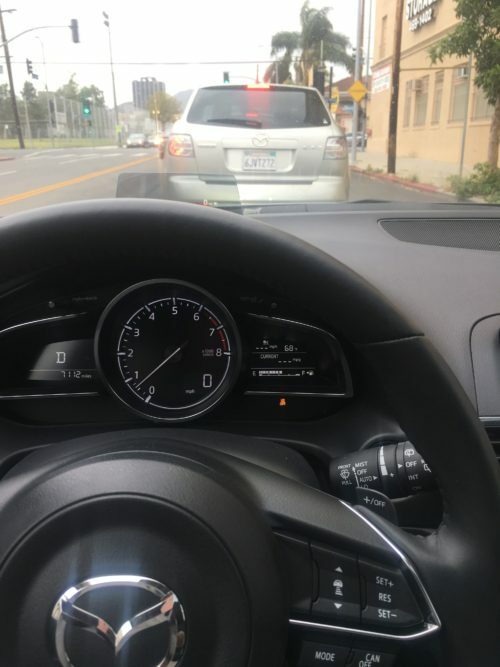 The popup screen on the driver side that allows the driver to see speedometer and GPS information without having to look away from the windshield is an excellent safety feature. If the driver or passenger leave seat warmers or seat coolers on in the Mazda3 when the car is turned off, they come back on when the car starts again. 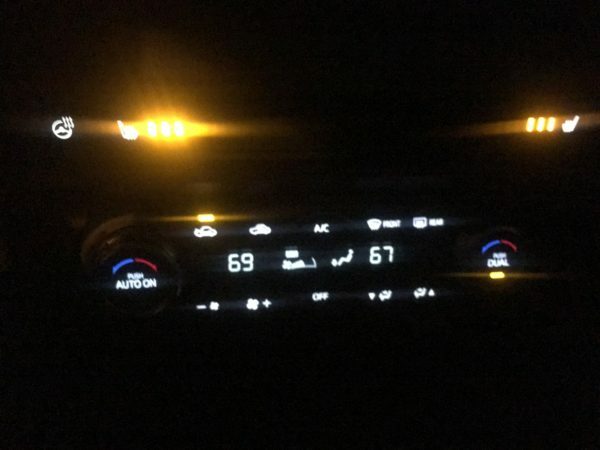 Living in Minnesota, I can’t live without seat warmers. I would appreciate not having to turn on my seat warmers or coolers every time I get back in my current car. One day I will have a convertible until that day occurs I go gaga for an extra large sunroof that extends into the backseat. 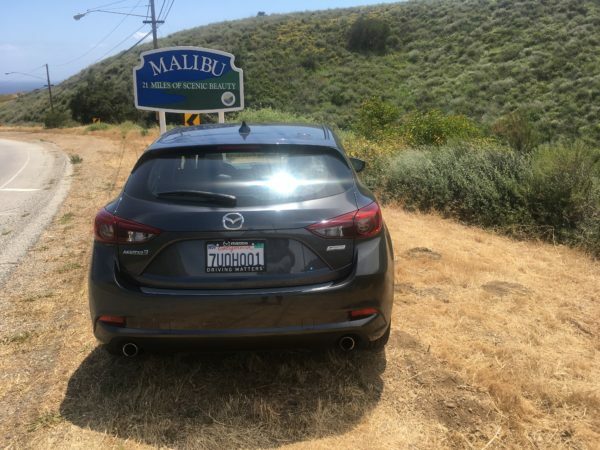 The Mazda brand is all about the joy of driving and it was a joy zipping around Southern California in a Mazda3.